The basic plot from Amazon: Justyce McAllister is a good kid, an honor student, and always there to help a friend—but none of that matters to the police officer who just put him in handcuffs. Despite leaving his rough neighborhood behind, he can't escape the scorn of his former peers or the ridicule of his new classmates. Why I liked it: Dear Martin is the third young adult novel I've read recently focused on police brutality and shootings targeting African American males, a natural follow up to All American Boys and The Hate U Give. 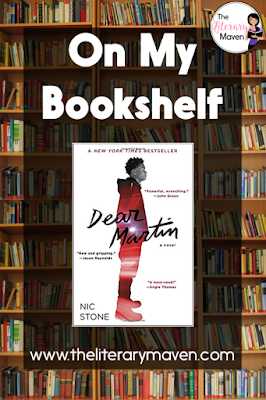 Like those two novels, Dear Martin touches on topics that have been largely ignored in young adult literature in the past: racism, racial profiling, gangs, drugs, code switching, interracial relationships, urban decline, black on black violence, police brutality, and witness intimidation. 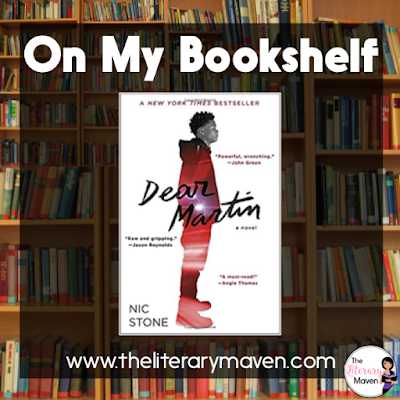 While the writing in Dear Martin was not as polished as the other two novels, I still very much enjoyed it and the issues it raises. Justyce, the character at the center of the novel is extremely likable. He is a "good kid" who sometimes makes bad choices and he's smart and good looking. His struggles to fit in at school, please his mother, and understand girls are issues most teen boys can relate to, and his struggle to decide what type of black man he wants to be is one that I imagine many young black men share. My favorite parts were his direct addresses to Dr. Martin Luther King Jr., who Justyce affectionately calls "Martin," hence the title of the book. Classroom application: The novel could be used in literature circles along with the obvious choices: The Hate U Give and All American Boys, but also with After by Marita Golden, a lesser known title, which also focuses on the shooting of an unarmed young black man, but is told from the perspective of the black police officer responsible for the shooting. The 2004 film Crash could also be used as a pairing. 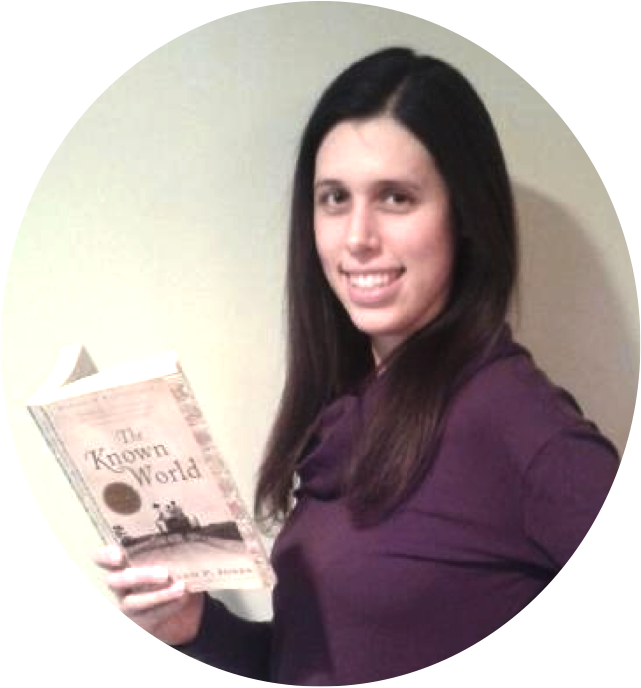 The novel could also be paired with a study of Dr. Martin Luther King's life, ending with an essay questioning, like Justyce does, how relevant his teachings still are in today's world. Other possible research options would be the recourse for officers involved in a shooting, the support for officers who lose their partners in the line of duty, and the history of the KuKlux Klan. The Halloween costumes sported by Justyce, Manny, and his friends would make for a great discussion about stereotypes, when is it okay to poke fun and when is it crossing a line that shouldn't be crossed? 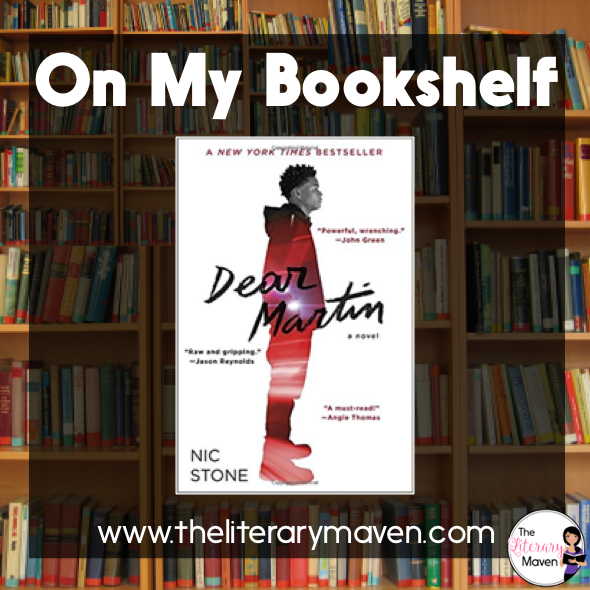 If you are interested in purchasing a copy of Dear Martin for yourself, you can find it on Amazon here.